Save the date! 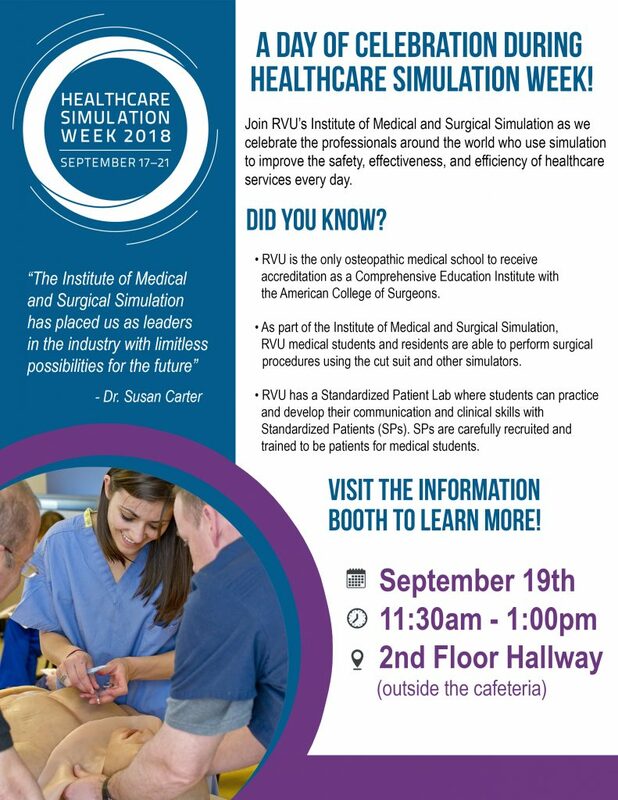 The Institute of Medical and Surgical Simulation will host an information booth on the 2nd Floor Hallway on Wednesday, September 19th between 11:30 am and 1 pm. Healthcare Simulation Week is a worldwide celebration of simulation in healthcare and the professionals who use it to improve patient safety every day.